I completed my formal gunsmithing education and certification in 2017. Federal law requires one to have a Federal Firearms License to work on anyone's firearm. My family is planning to relocate (within Moore County) in 2018. When we finish that move I will obtain my FFL. To do so before then is just too big of a pain in the you-know-what. So what can I do for you? Lots. 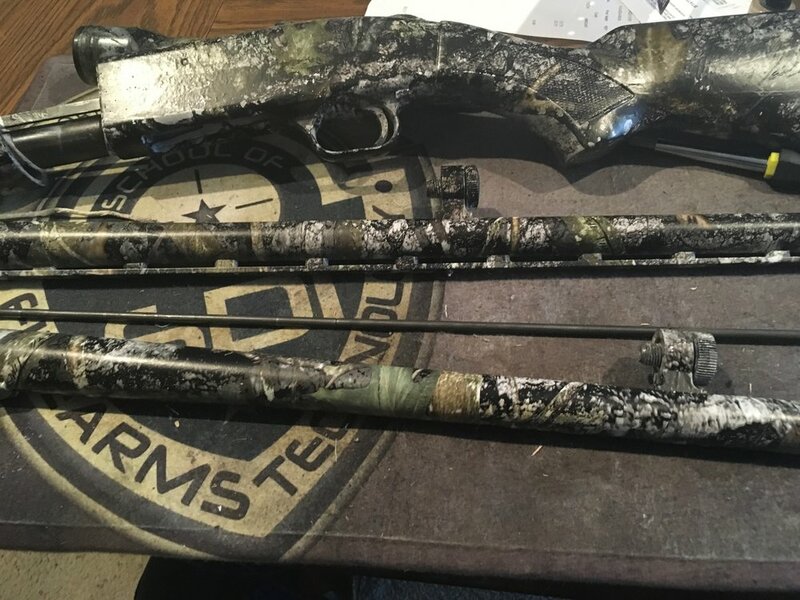 I can walk you through processes, lend advice, coach you through the hydrographic dipping process, and more. Scroll down the page for examples of my work. Use the contact form at the bottom of the page for inquiries. To follow my current project check out this blog series. 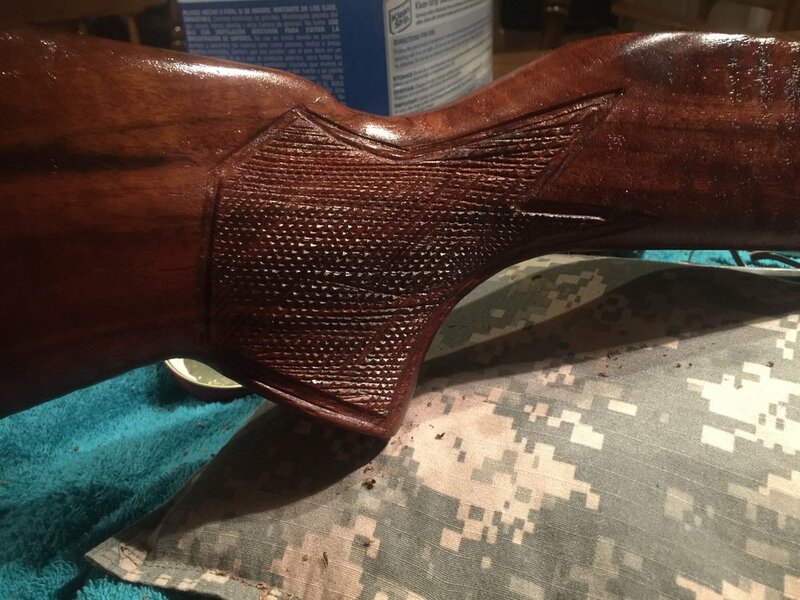 Checkering gun stocks is tedious, painstaking, but rewarding work. Most commercial manufacturers rely on computer run milling machines to do the checkering of grips, stocks, and fore grips. 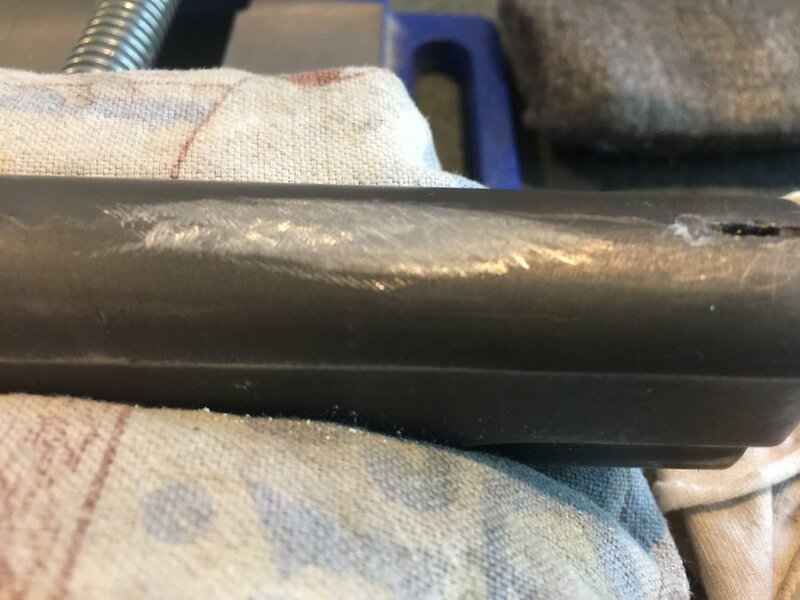 This is why when you find an older firearm that has been checkered and engraved by a master you better have deep pockets. I can checker a blank stock or clean up existing checkering for you as part of refinishing a stock or as a solitary job. 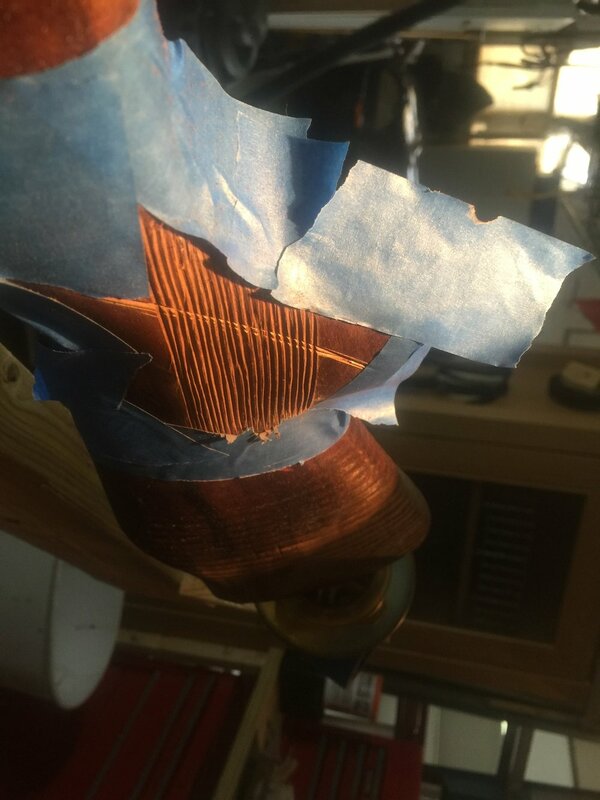 Refinishing or restoration is can also be a slow process. 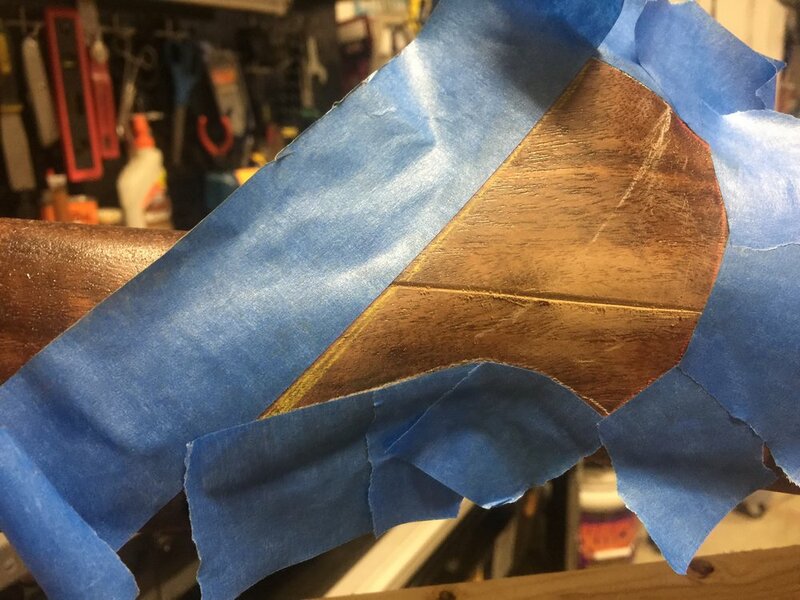 From working removing dents in stocks, to sanding down a stock with 2000 grit paper, repairing a split grip, re-blueing a barrel , or slow rusting a barrel for an authentic look, these are all tasks that take time and know-how. 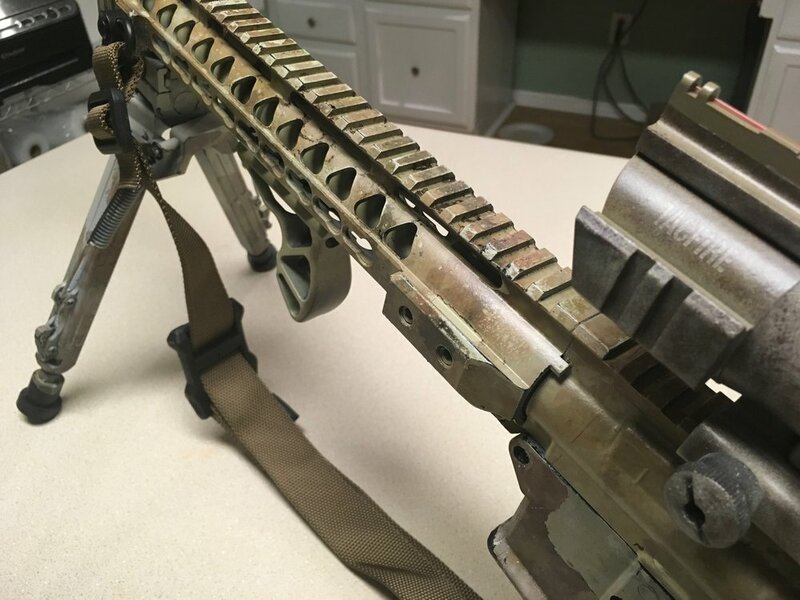 Sometimes a repair will lower the value of a collectible firearm. 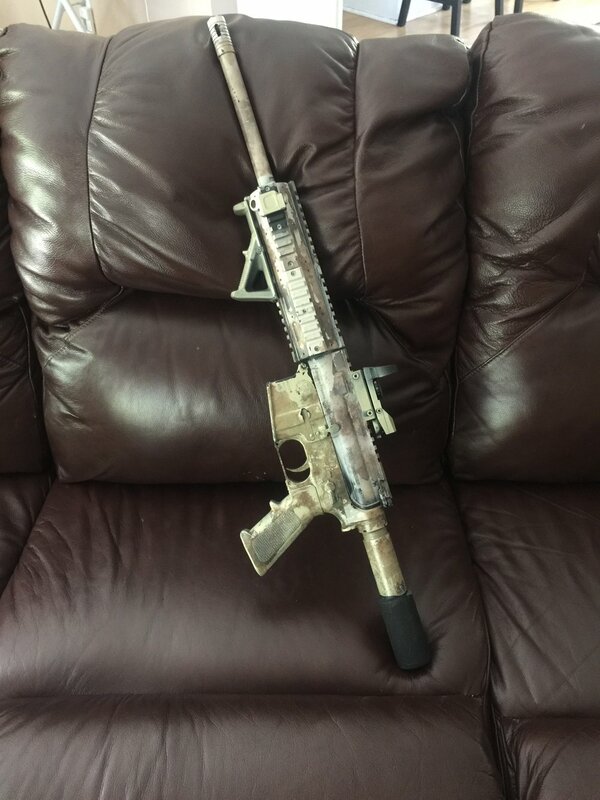 Sometimes the repair may cost more than the firearm is worth on the market. 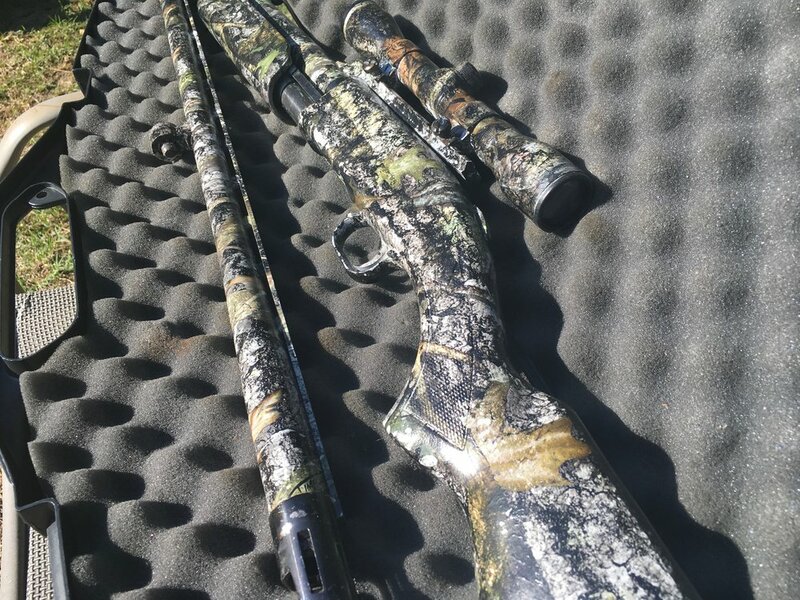 A whole lot of times firearms are passed down from generation to generation and have more value in what they mean than what they are worth financially. No matter the situation I can give you an honest answer on whether or not I can help and try and work within a budget. The photo galleries below are two separate repair jobs. The first is repairing a 1911 slide that had a nasty gouge in it. 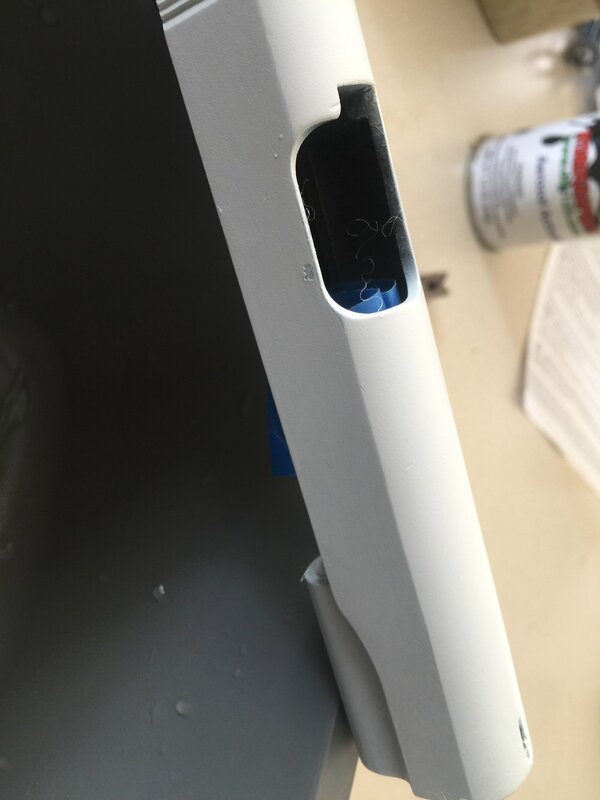 The gouge was removed and the slide resurfaced so you couldn't tell the gouge was ever there. 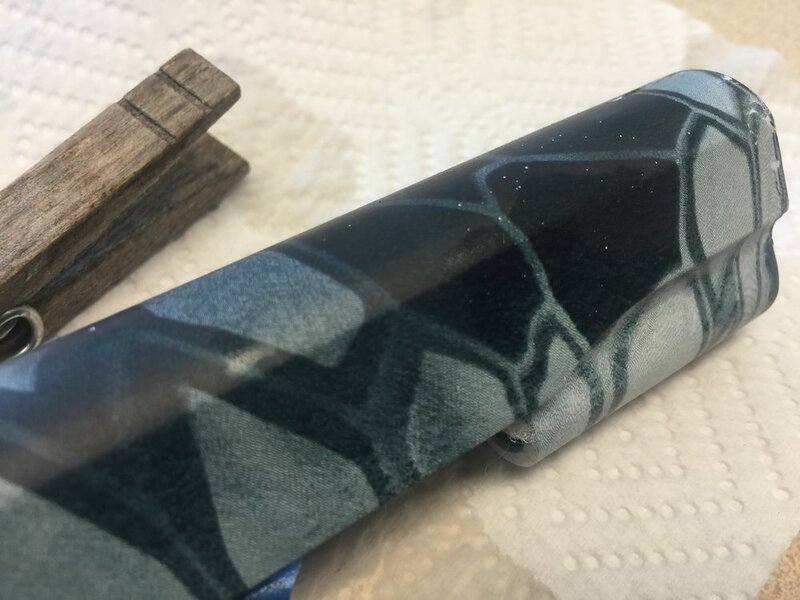 Rather than re-blue the slide, the client wished for a hydrographic finish which I was happy to do. 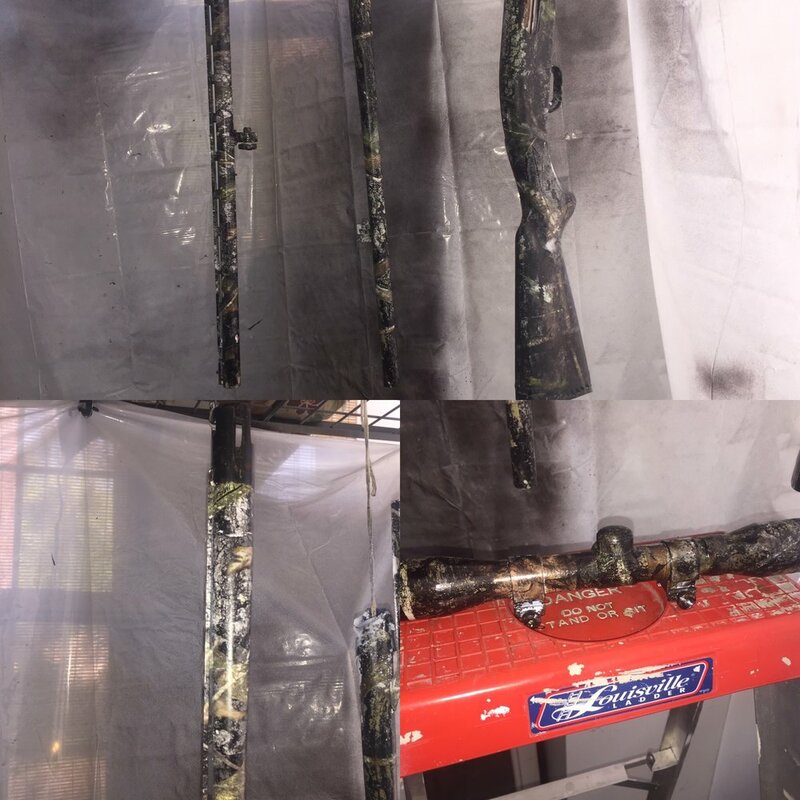 Hydrographic dipping is the process of using water as medium to apply a pattern of paint that has been laid on film and transfer that pattern to the firearm or any other thing for that matter. Magazines, holsters, helmets, foglight covers, car parts, Yeti cups, phone cases, you name it it can be dipped. There are lots of YouTube videos out there that can show you how to do this and truth be told, they make it the process seem easier that it is, what they don't show you is the repetition they have went through to get to that consistency. 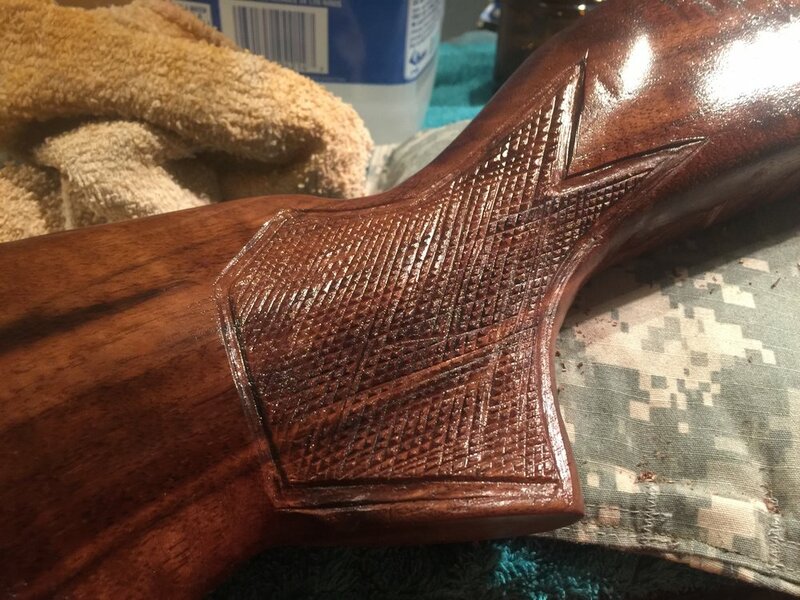 The techniques for preparation, application, and finishing are very important to the completed project. Trust your work to a professional.